In his recent book wine critic Robert Parker co mments positively on 5 New Zealand wineries. Good on him to recognize what the rest of the world has been commenting on for some time. Matt Kramer from Wine Spectator recently suggested that Pinot Noir from Central Otago and Canterbury are excellent choices, as the great wines from Burgundy are no longer available, due to collectors in SE Asia snapping them up. These are just two that pop into my head. New Zealand wine is truly special and has a group of small producers that will delight every time, finding them is the challenge or maybe even a treasure hunt. This is one good reason to be on first name basis with your favorite wine shop or restaurant sommelier. These people are tasting a lot of wine on a regular basis and can guide you to some very special producers. I am confident your efforts to experience more New Zealand wine will lead to many pleasurable evenings with friends and food. I came across this post by Nick Stephens the other day and naturally the comment about New Zealand wine caught my attention. I suspect the wine served with dinner at Nick’s would be pretty special. The additive comment reminded me of an article some months ago in the LA Times about exactly this subject. It is a pretty lengthy article and very informative to read thru. These methods are most likely used in all wine producing regions and not exclusive to New Zealand. It is a good reminder that some wines begin in the vineyard and are finished in the lab. Good effort by Bonny Doon to lead the way in telling us what goes in the bottle. The two Kiwi’s did get it right when they replied they keep the good stuff at home. Finding these New Zealand gems really is a treasure hunt. When you find them, you will know you are in a good wine shop or restaurant. I just received this new vintage update from Kym Rayner winemaker at Torlesse Wines in the Waipara Valley. Torlesse Wines is typical of many artisan handcrafted wineries in New Zealand. If you visit the winery you will be hosted by Kym, his wife Maggie or Paul Hewitt the assistant wine maker. This is pretty cool. One of the special characteristics of Kym’s wine is the ability to improve over time in the bottle. New Zealand has yet to achieve this recognition and Kym will be one of the many winemakers who is able to show the extra effort in the vineyard pays rewards for us consumers down the road. Late winter rains were very heavy in July and about 3 weeks later in August resulting in flooding around the winery. The other significant fact is Waipara had no frost events or no visible damage on our vineyards at least. This coupled with warm dry conditions has meant early flowering and pretty good set. The only negative is these conditions are also ideal for powdery mildew so there are plenty of sulphur sprays going on. This is an acceptable spray from an organic/sustainable approach. Our vineyard has been quite untidy this year as we are spraying less herbicide and leaving a wider range of ground cover to bring in more insect diversity, hopefully beneficially, like lady birds, spiders and bees and the predator wasps. Thanks Kym, for sharing and letting us know there are some good things to look forward to. Wines from some of the world’s most elite wine estates have arrived in New Zealand. The five 2001 Grand Cru Burgundies, including wines from Domaine de la Romanée-Conti and Domaine Comtes Georges de Vogüé – are the highlight of the 2009 Central Otago Pinot Noir Celebration Formal Tasting. 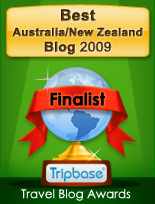 The Celebration will be held in Queenstown, New Zealand on 30th and 31st January 2009. A stimulation presentation on the Burgundian Appellation d’Origine Contrôlée (AOC) system will be lead by world-renowned wine experts Jasper Morris MW, Neal Martin and Jancis Robinson MW. A formal tasting of the five wines will follow: Domaine Trapet Père & Fils, Domaine Dujac, Domaine Comtes Georges de Vogüé, Domaine de la Romanée-Conti and Bouchard Père et Fils. This will be a special opportunity to examine the social and political environment at the time of the AOC’s creation and the AOC’s contemporary applications to present-day Pinot Noir producers. In addition to the Formal Tasting and the excellent line-up of world-renowned wine experts, the Celebration also includes a Grand Tasting of over 40 Central Otago Pinot Noirs. The tasting will be divided alphabetically by winery into morning and afternoon sessions and each company will present their current vintage as well as one previous vintage. World-class wines demand world-class cuisine, and Queenstown’s top chefs will deliver just that over two gourmet-filled days. We are privileged to have celebrated chef Martin Bosley from Martin Bosley’s Yacht Club Restaurant, Wellington (Supreme Winner – Restaurant of the Year, Cuisine magazine 2007) will prepare the Grand Dinner in one of the most stunning dining locations you are ever likely to experience. Two hundred delegates from around the world descent on Queenstown for the event, in its 7th year. Past media and VIP attendees have included premier Burgundy critic, Allen Meadows; acclaimed wine author, judge and founder of Coldstream Hills winery in Victoria, James Halliday; Singapore-based publisher, lawyer, writer and tasting panel judge, CH’NG Poh Tiong; and Executive Director of the San Francisco International Wine Competition, Anthony Dias Blue. The most exceptional wines are crafted by artisan winemakers. A journey of exciting discovery awaits those who explore the world of New Zealand’s artisan winemakers! It’s called the Golden Mile for a reason. Birthplace of Marlborough’s famed Sauvignon Blanc, this region consistently produces delightful wines with the fresh and lively fruit personality that so many of you request. Georges Michel and his family are exceptionally passionate about the Golden Mile of New Zealand. For 10 years they’ve dedicated themselves to developing the 84 acres and have completely retrofitted the estate winery. Rows of French oak barrels, new tanks, winemaking daughter Swan and French viticulturalist Daniel LeBrun are all part of the modernized Domaine. The Michels’ dedication shows in their superb bottlings of Pinot Noir, Chardonnay and Sauvignon Blanc. Mouth-filling and beautifully balanced. Luscious fruit and gentle waves that build and linger. Just like Georges Michel himself, these wines show bright New Zealand spirit with a touch of European elegance. At last a refined Sauvignon Blanc from New Zealand! It offers the zingy citrus and herbaceous flavors that make this varietal so refreshing. This one is for those special evenings with friends when the magic of food and wine come together It has the elegance and depth of a classic Sauvignon Blanc, the kind of wine that fits in beautifully at the dinner table. A slow fermentation brings out lustrous tropical fruit notes. The owner’s daughter, winemaker Swan Michel, adds smoothness to the blend with a deft touch of Semillon. This wine is a delicious and rare fusion of New World vitality and Old World grace! This is a wine that is worth the effort to find. Let the Christmas treasure hunt begin.